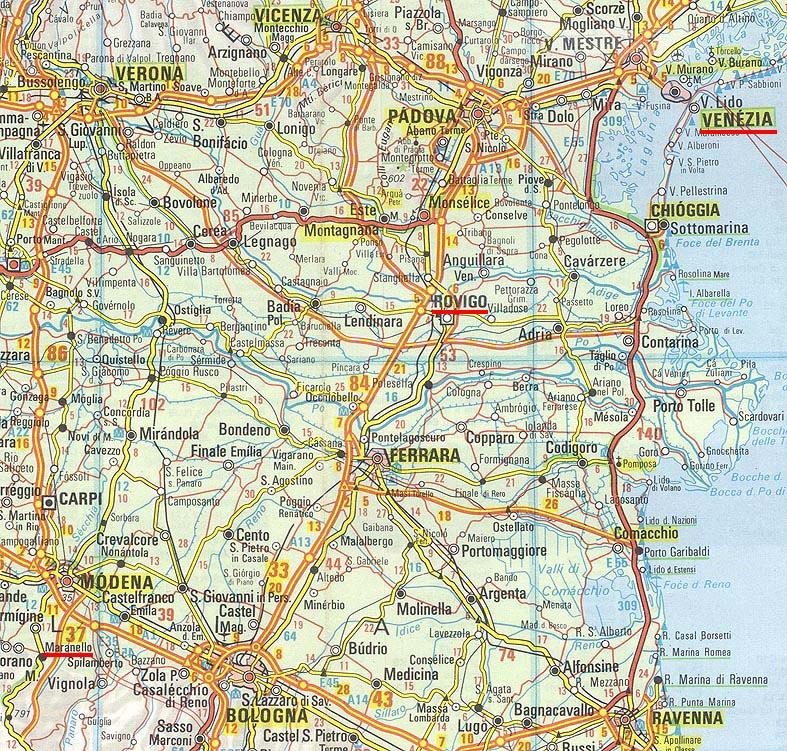 The 2006 meeting, which was organised by Sestilio Marcheselli with the support of the RIAR, was held from 7 to 10 September 2006 at Rovigo, in a very beautiful area of Italy about 60 km south west of Venice (area map, 325 KBytes). Several new members of the Montreal Register Europa attended this friendly 20th meeting and there was a record attendance of 51 Montreals. 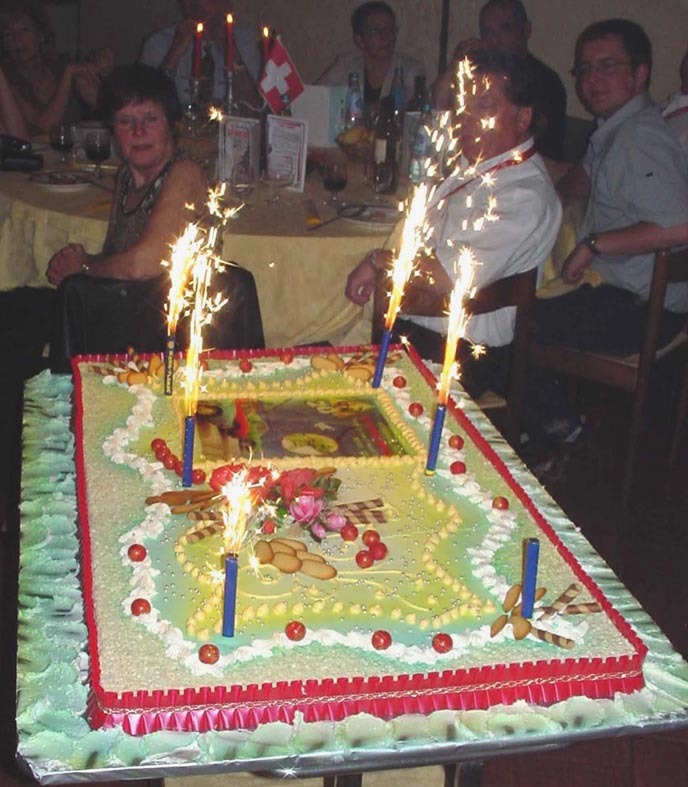 It was a special pleasure to have the participation of Hermann Christoforetti, the oldest member of the Register, who had his 90th birthday in December 2006. 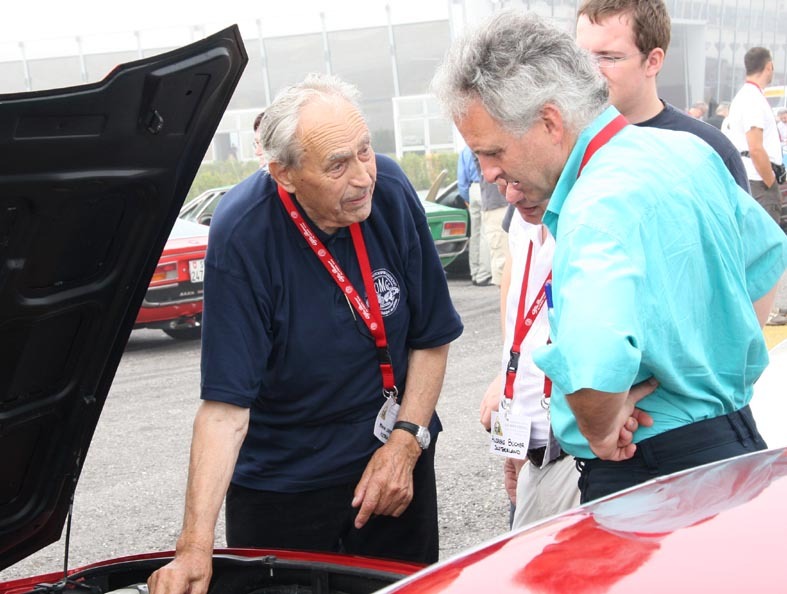 Hermann organised the first official Montreal meeting at Wolfgangsee in Austria in 1987. 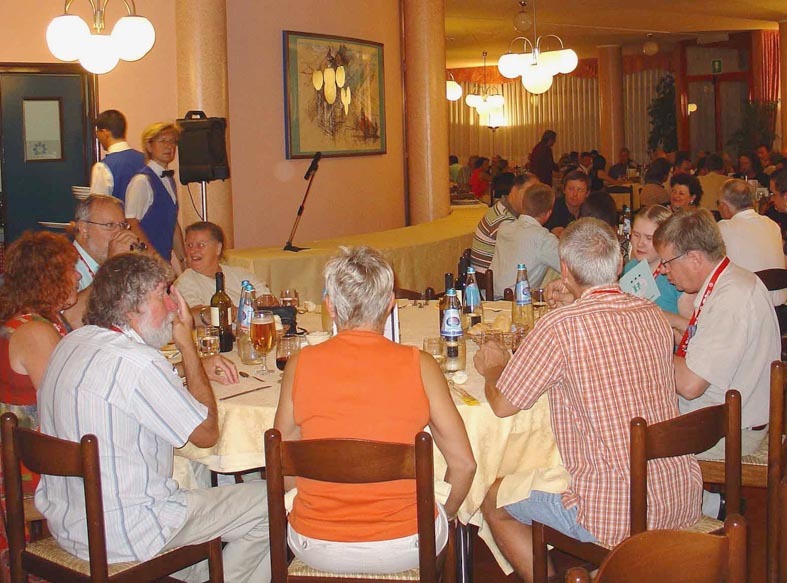 Participants who arrived on Thursday afternoon met in the Museo Nicolis in Villafranca di Verona and then moved on to the Hotel Europa in Rovigo for a welcome dinner. 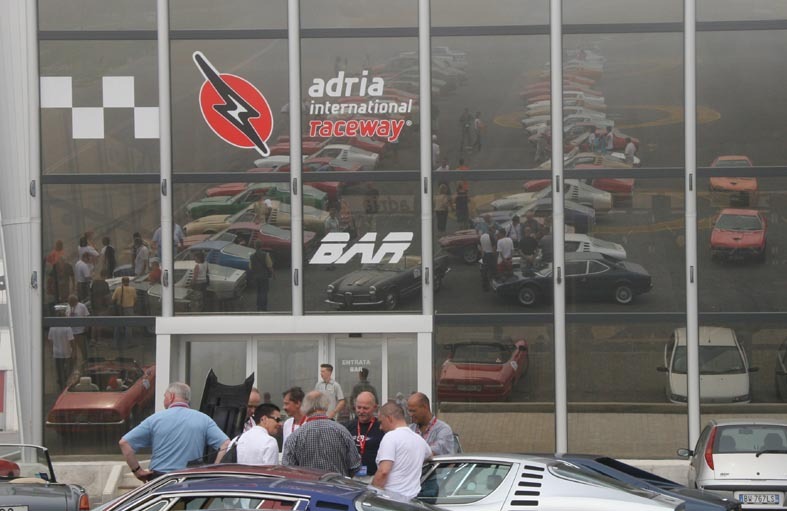 The next day, the Montreals visited the International Raceway at Adria for a few laps on the track. 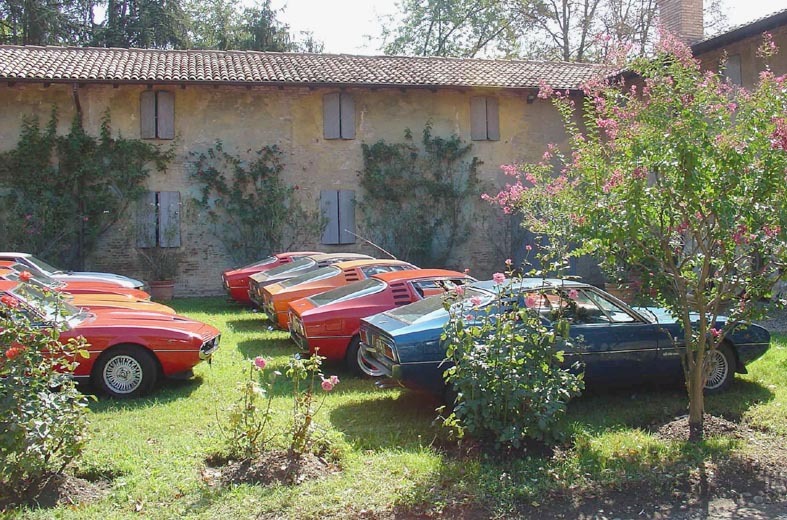 (Video clip by Marco Gamba). Hermann was seen to make several circuits at a brisk pace and was the last to leave the circuit! 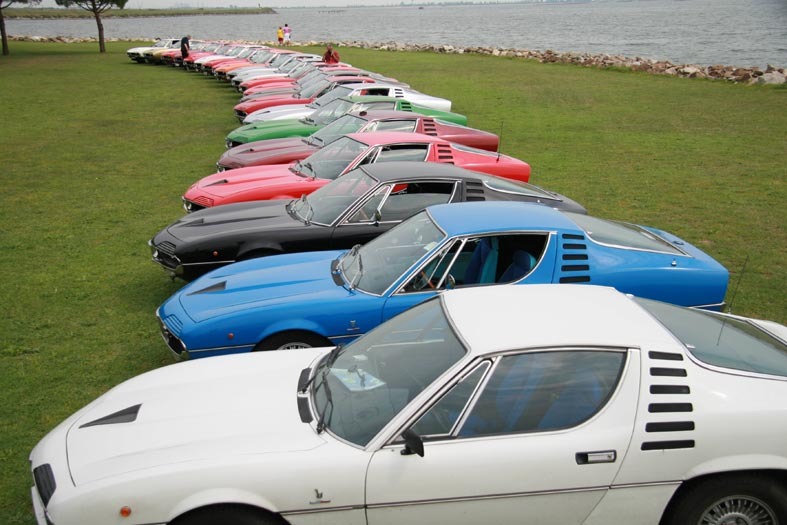 This was followed by a slow drive through the Po delta before lunch and a photo shoot at the Marina 70 restaurant. 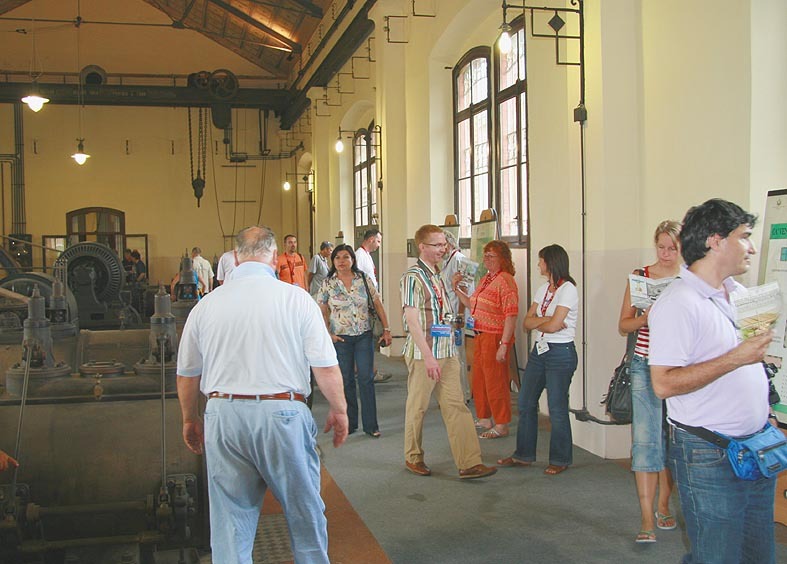 Some participants then visited the museum "della Bonifica di Cà Vendramin" before returning to Rovigo. 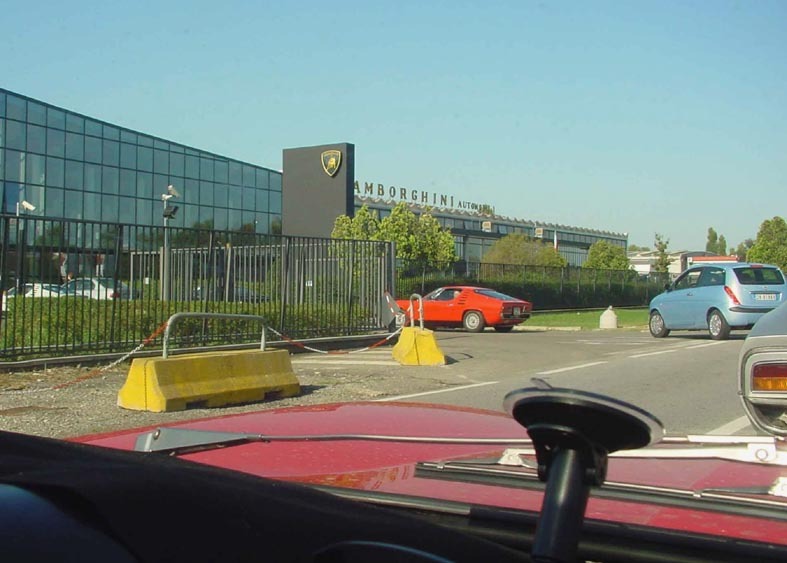 On Saturday 9th, the party drove by pleasant secondary roads to the Bologna area to visit the Lamborghini factory museum and see the private Collezione Righini, which was one of the highlights of the meeting. 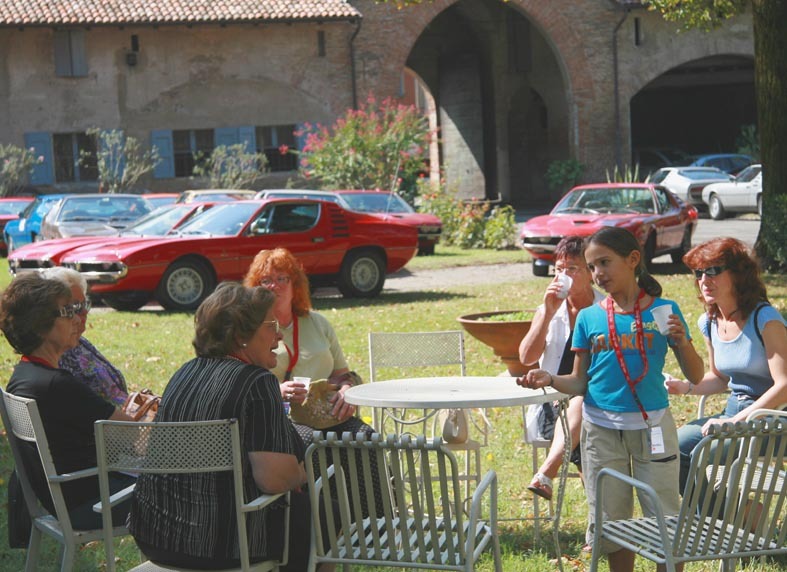 Lunch was held in Maranello, after which everybody visited the Ferrari museum. There was time for shopping in Modena before returning to Rovigo for the gala dinner in the evening. 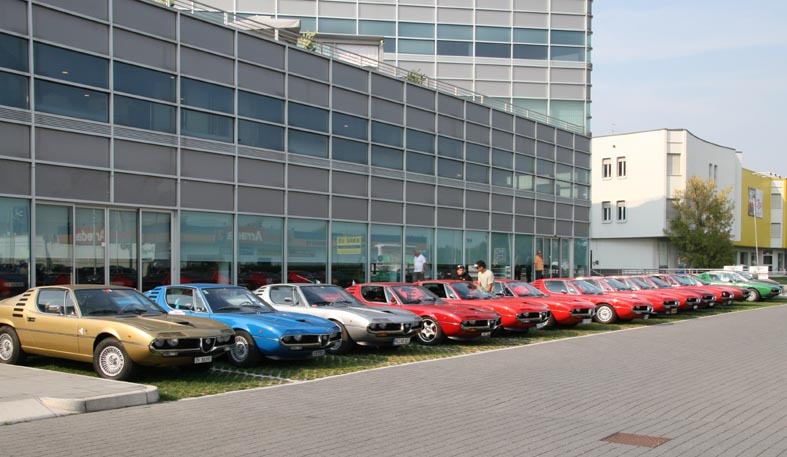 Before the participants departed for home on the morning of Sunday 10th September, the Montreals were exhibited in the Piazza Vittorio Emanuele II. 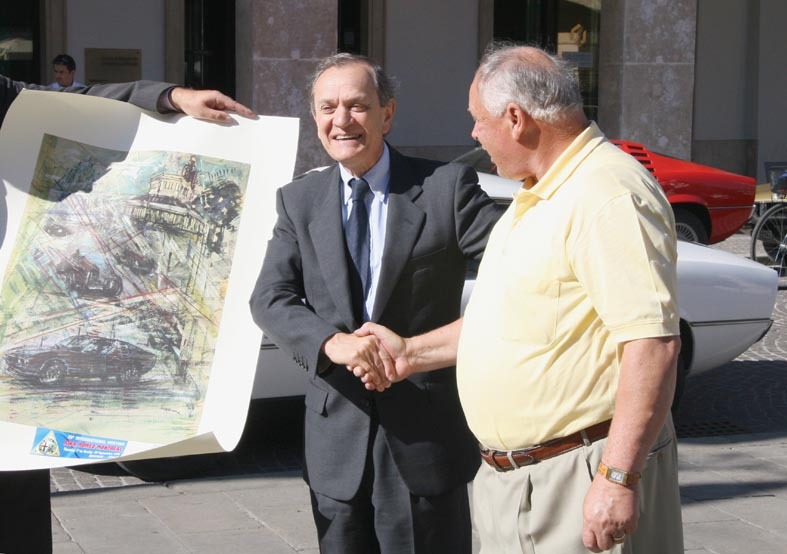 The Mayor of Rovigo was present at the event and representatives from more than 10 countries received a gift of a special lithograph. An excellent 25-minute video record of the highlights of the meeting has been produced by Marco Gamba and he can supply copies for EUR 13-15 depending on the postage to your destination. To order, send him your address and the quantity required and he will respond with instructions for payment by PayPal.